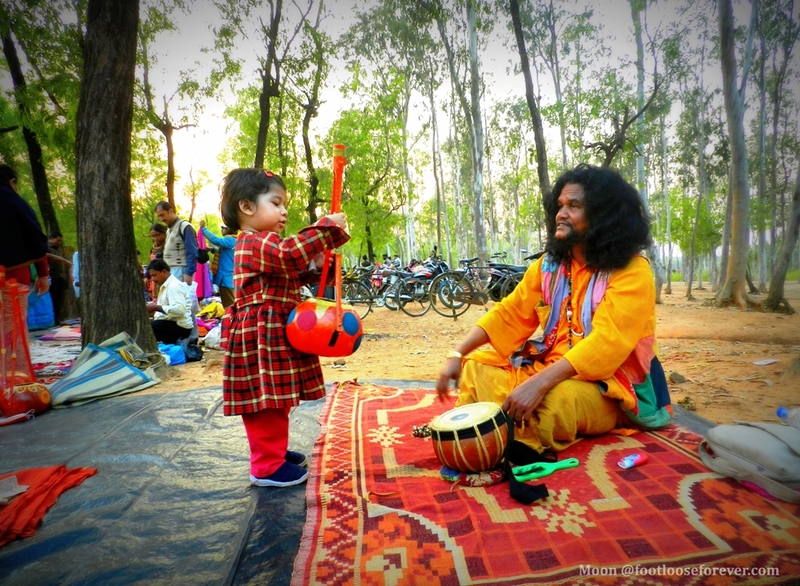 Shanibarer Haat (Saturday Market) by the Sonajhuri Forest is an event not to be missed at Shantiniketan. The market is a colorful, vibrant place to feel the heartbeat of life in Bolpur-Shantiniketan. 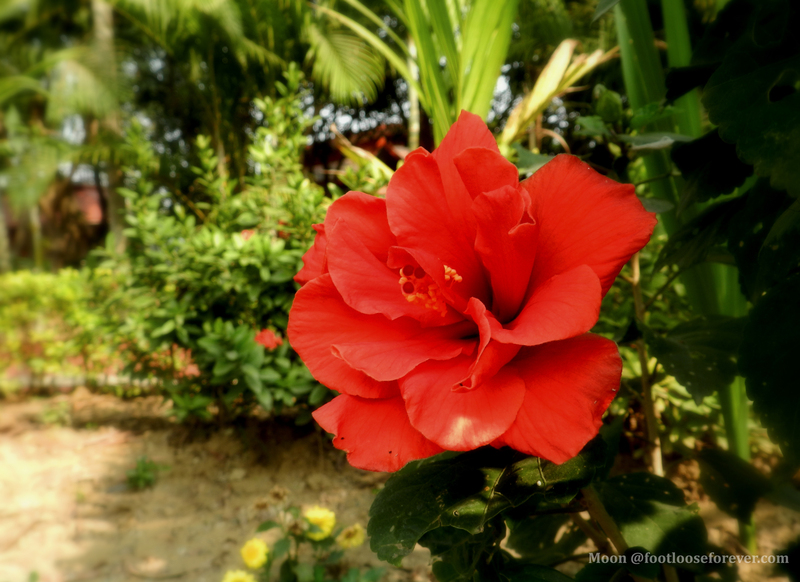 Last January we made a short weekend trip to Shantiniketan. As I was wandering around in this makeshift market I spotted this ‘little aficionado’ approaching towards the baul sitting underneath a tree. 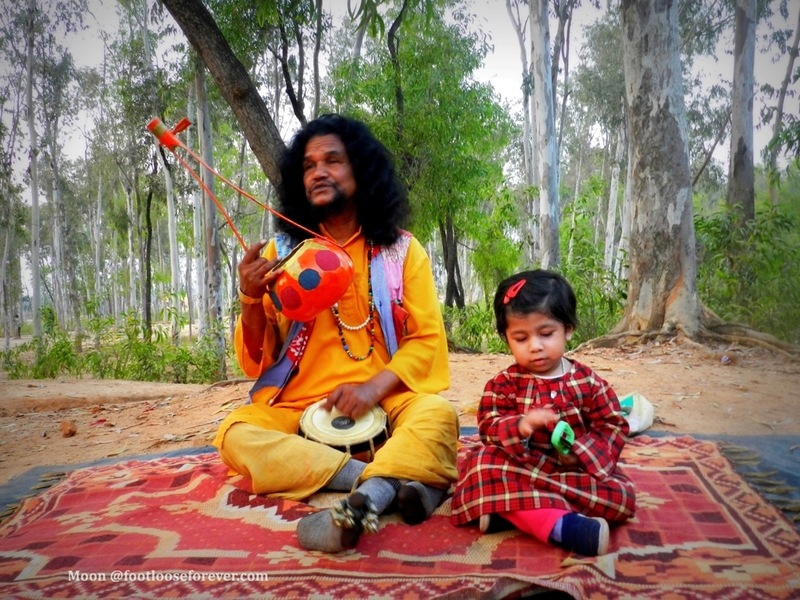 She was curious about the ‘ektara’ (an indigenous single-stringed musical instrument used by local folk singers). I don’t know what she spoke to him, as I couldn’t hear anything from a distance. 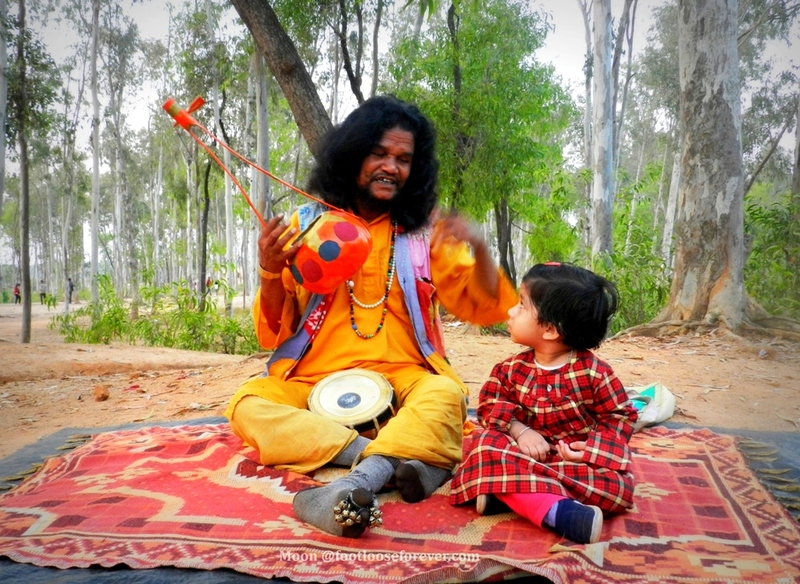 A moment later they became friends and she started assisting him in his music with a ‘jhunjhuni’. 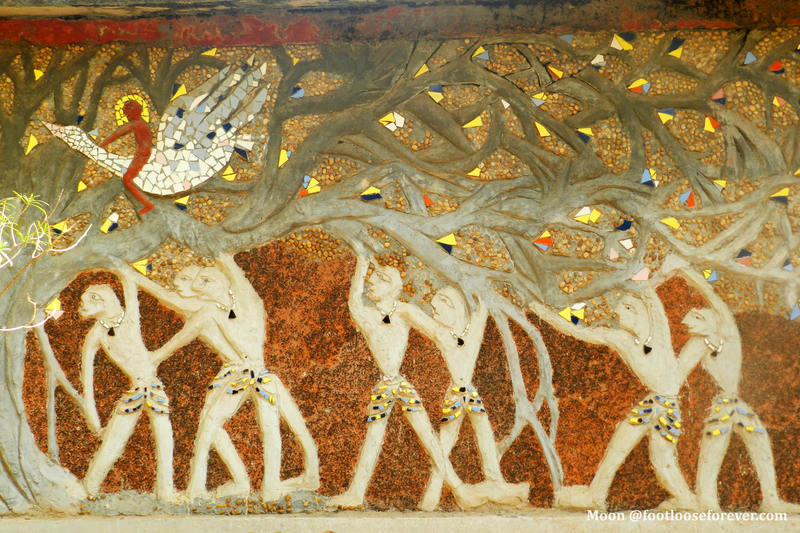 P.S: You can also check out my complete guide on Shantiniketan tour – A refreshing Weekend Trip to Shantiniketan.